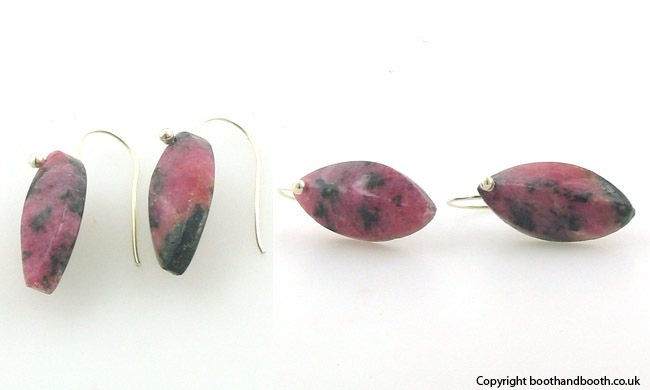 Rhodonite drop earrings with a sterling silver ear wire. 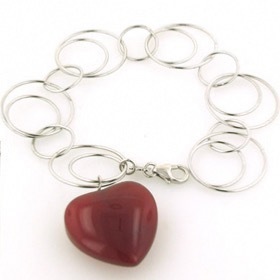 These rhodonite gemstones are sculptured and polished. They have a raised front cut into a shallow peak and a flat back. 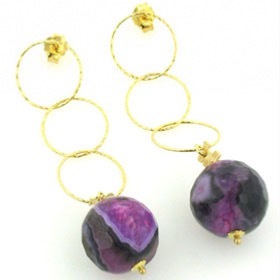 The top of the stone is drilled to carry the sleek ball ear wire. 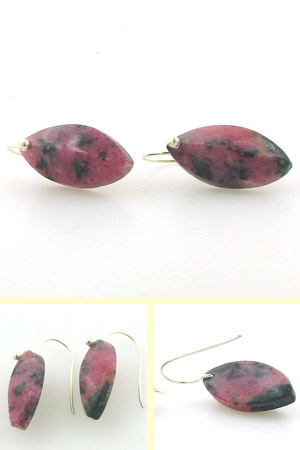 Rhodonite is a striking mixture of raspberry pink mottled with charcoal grey. Team up with our Italian sterling silver chain necklaces!